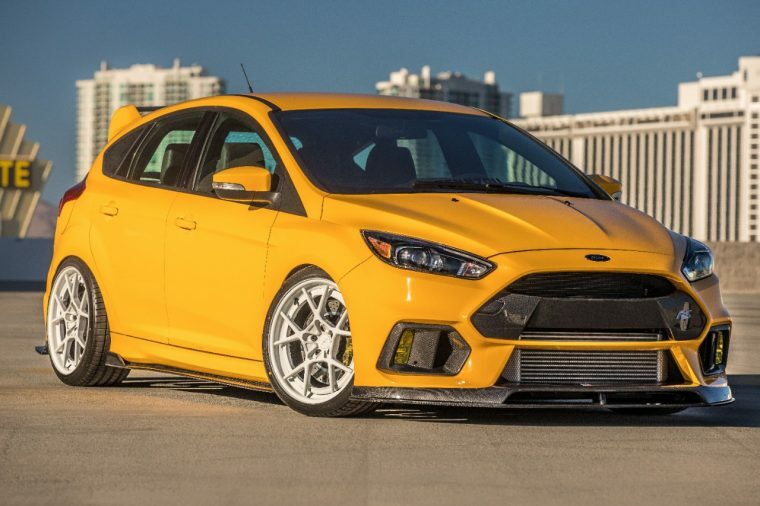 For the third year in a row, Ford has secured two Hottest at SEMA Awards: the Ford Focus was named Hottest Hatch for a second year in a row, and the Ford F-Series took home Hottest Truck for the seventh time in eight years. Ford’s dual win follows two years with a trio of trophies: the Focus won Hottest Sport Compact, Mustang won Hottest Car, and F-Series won Hottest Truck in 2015; and Mustang won Hottest Coupe, Focus won Hottest Hatch, and F-Series won Hottest Truck last year. SEMA has handed out a total of 33 Hottest Vehicle awards since 2010, of which Ford has won an incredible 15. Though the F-Series and Focus were ultimately Ford’s award-winners, the Mustang, all-new 2018 Expedition, and all-new 2018 EcoSport all had strong presences at the show. 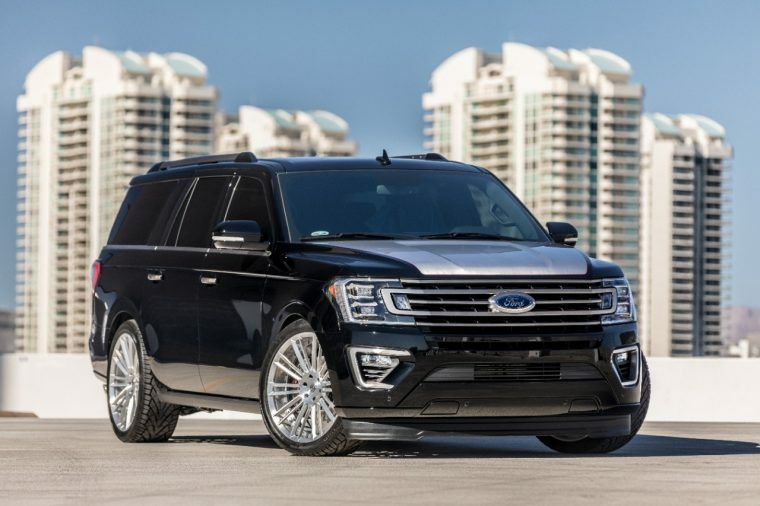 Above is a 2018 Ford Expedition 4×2 Limited Max, equipped with a CGS Performance stainless cat-back exhaust, Whipple intercooler and cold-air intake, McGaughy’s suspension, Sparta six-piston brakes with 15-inch rotors, and decked out in Axalta Super Jet Black paint by Flying Iron Designs’ Andy Meeh.